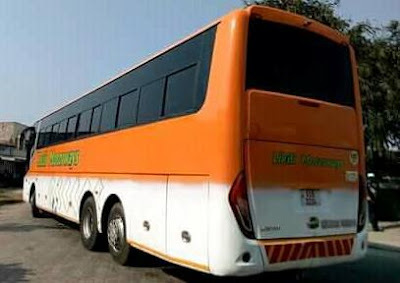 Trip Trans Is a bus company which provide daily scheduled services from Harare to other towns within Zimbabwe and They also provide a cross boarder services to Malawi and Zambia respectively. 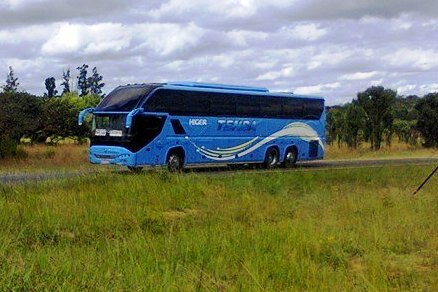 Trip Trans bus company started as a shuttle services mini bus operator with some few Toyota Hiace serving within Harare and Beira as well. In the recent years of 2010's, They have expanded their service by acquiring a big machine to invest in a long distance trips. 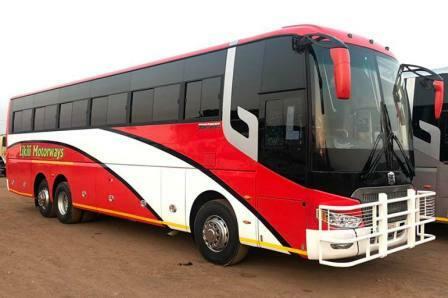 They are now dominating the transport Industry in Zimbabwe as on of the best bus services provider in Zimbabwe with a good reputations from their customers. 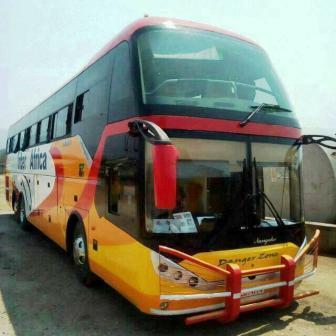 This bus company doesn't have a single type of bus model, They own a mix of fleet of various makers from China. They have Zhongtong all models, Yutong All models and Higer bus respectively for African edition. 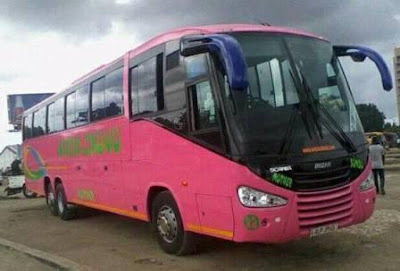 Their buses are smarts and have reclining seats for you to enjoy a comfort travel whenever you are travelling with them. Enough Legs space will give you a chance to enjoy smart travell with them you are enjoy Television services from a big screens on the bus. Don't forget their buses also fitted with a modern sound system to give you fresh music to enjoy the long trip. This bus company specialized mainly in the transportation of passenger to different towns all the way from Harare city in Zimbabwe. They have daily departure for local routes within Zimbabwe to all towns where their buses have destinations. They have a well scheduled services and also they have a cross boarder services to Blantyre city in Malawi and Lusaka city in Zambia. Trip Trans Bus also provide Parcel transportation services to all towns where their buses used to go with daily services at a fair prices. Always they are taking care of you parcels whenever you transit with them. 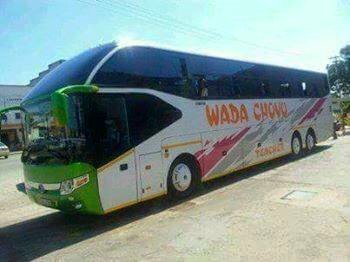 Wada Chovu Bus Services Is a Zambia passenger transport charter with headquarter in Luanshya town in the Copperbelt province near Ndola town. 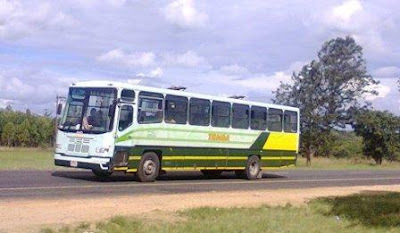 It is a one among the mosst respected family owned bus services in Zambia with good reputations from their customers. 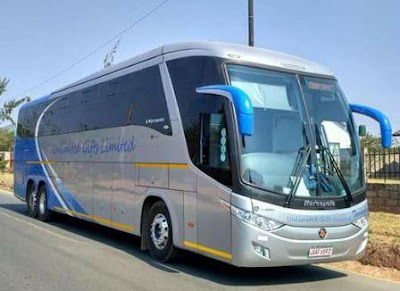 They have a modern coaches with a well trained drivers as well as Bus host/hostess who will take care of you from the starting point of your trips to the destinations. They have a single decker and double decker bus to serve you with standardized services. 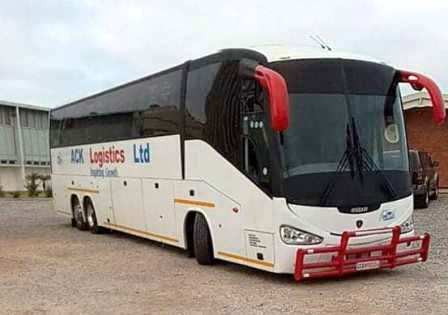 They own a very luxury coaches most of them being a Scania bus models with Marcopolo made bodies of single and double decker and Irizar body maker. They also have a Chinese Higer bus model, These coaches have 2 by 3 seating arrangement for normal buses and 2 by 2 seating arrangement for luxury and semi luxury buses. All of their coaches have on board entertainment like Television services on the slim Tv fitted in their buses accompanied with a good music from their on board sound system. This will give you a smart time and stay awake for almost the whole trip. Some of their buses have an A/C services all the way to your destinations while other buses keep A/C off from service. 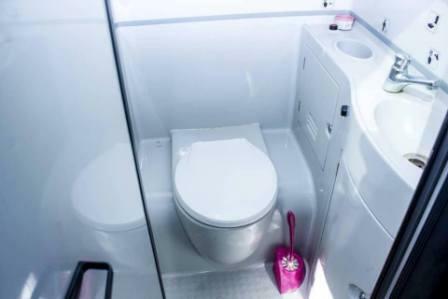 You will enjoy free WiFi on the bus and USB charging system to give your smartphone a superpower. As the biggest bus company in Zambia, Wada Chovu offer you a daily trip from Luanshya town where their base is located to other major towns and cities in Zambia including Lusaka. They have daily departure for you in all of their destinations where their buses used to go every day. This services based on Passenger transportation from all the stations with some picking point on the way to their destionation. Apart from Passenger transport services, They also offer a daily Parcel transportation to all towns and cities where their buses have destinations. Their parcel services include transportation of small luggage within their buses and some being carried by the pulling trailer. 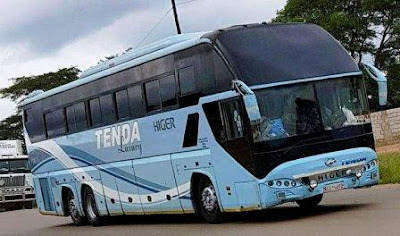 Tenda Transport Company Is a Zimbabwe based bus company which established on the early of 1980. This is the one among the oldest bus company which still operate their services in Zimbabwe. They are serving many local routes in Zimbabwe and they hyave a cross boarder service to South Africa and Zambia. Back in the 80s Tenda used to have a real monopoly on the busiest highway in the country at the time, connecting the capital Harare and the 3rd largest city Mutare. To their credit Tenda was efficient, fast and always on time. There were probably the most stylish and fancy bus company in Zimbabwe. Tenda Is one among the few companies which own Leyland DAF type of vehicle, Most of this bus play the rural routes where most of their roads are not in a good conditions. They also have MAM and Scania bus models with Marcopolo bodies and MCV bodies as well. 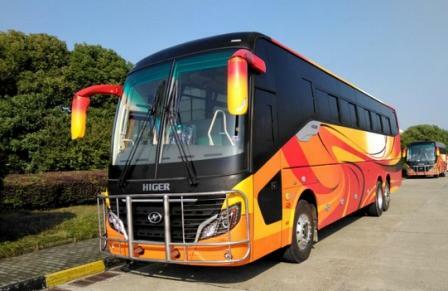 They also have Chinese Higer bus which seem to be the most luxury in their list. 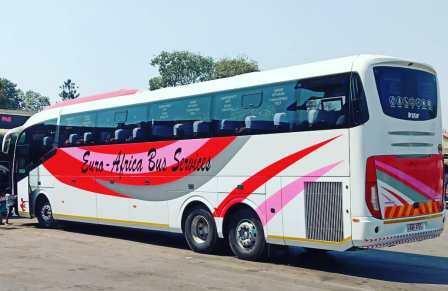 Most of their fleet which serves major towns and cities in Zimbabwe and also cross boarder services are of Semi Luxury and Luxury lass with on board entertainment. These buses have Television services and music from modern sound system. Passenger can enjoy the 2 by 2 seating arangement on some of their buses while other have 2 by 3 seating arrangement with enough Legs space. Most of their modern fleet have reclining seat while those ordinary DAF doesn't have a reclining seats. They offer a daily services and departure to all destinations where their buses have routes. Their main service is the transportation of passenger within Zimbabwe and on the SADC regions as well. They have a fair prices to all customers regarding to the amount declared by National authorities. Tenda Bus also provide Parcel Transportation services to all routes where their buses goes. They guarantee a safe and reliable parcel services with a fair prices which can be affordable by any one within and out of Zimbabwe. 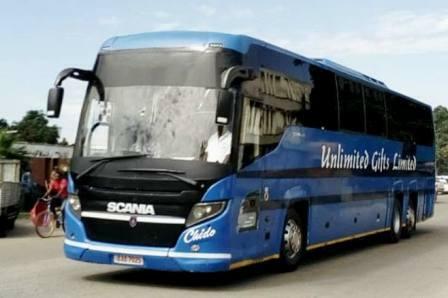 Unlimited Gifts Limited popular known as UGL Bus services Is a Zambia based bus company which is a successor of Mazhandu Family Bus services. 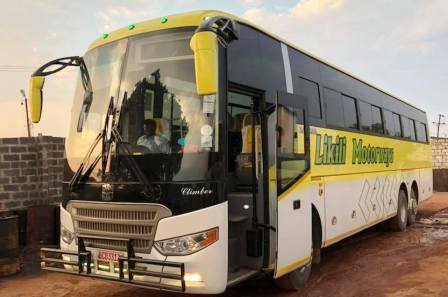 The UGL Bus came into operations early in the year 2017 as a sister company of Mazhandu Bus Services. 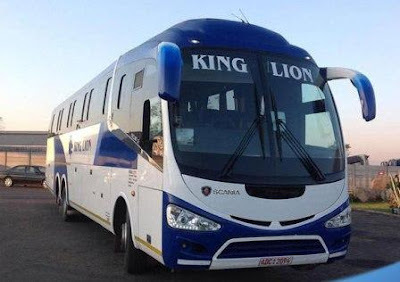 They are using the same color and types of fleet with the parent company and even their staffs use the same offices both in Zambia and South Africa. Since they have started to operate their coaches, They managed to get good reputations from their customers. 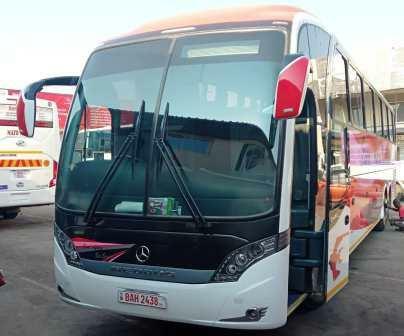 UGL has the best and smart coaches among the transport service providers in Zambia. All of their buses are Scania brand with clean and modern bodies from various makers like Marcopolo (G6 & G7), Higer and Neo Bus. 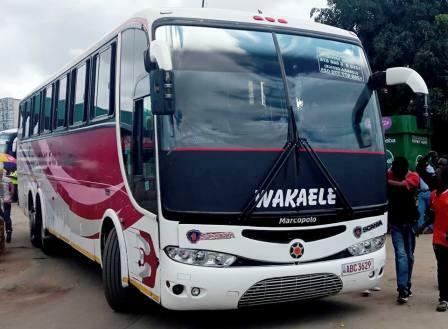 Their buses are customized to meet their Passengers demands hence they have fitted with good Plasma Television to entertain you all the way long with a good music system. Some of them have Television each side of the bus and other on a single row at the center of the roof. 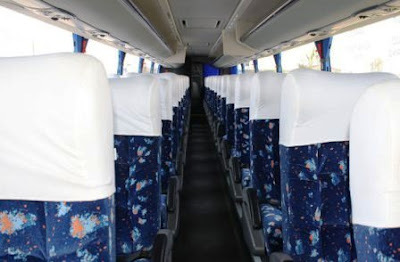 Their buses are full of A/C services from the departure to the destination point of your trips. Don't forget their buses also have free WiFi for you to enjoy internet and USB charging system to power up your smartphones. 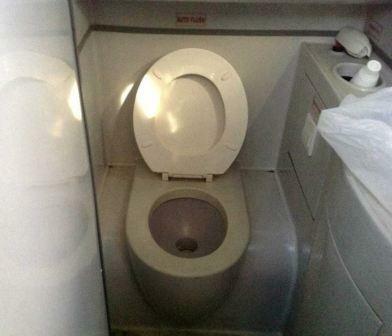 All of their buses have 2 by 2 seating arrangement with enough Legs space to give you a comfort travell. Their seats are reclining and smart all the time. 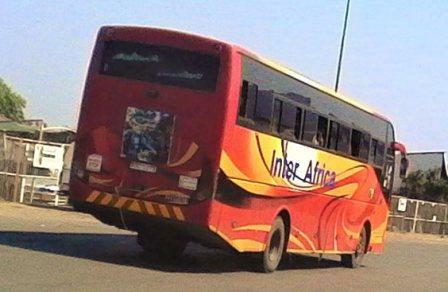 Their main purpose is the Transportation of Passenger within Zambia and out of their boarder. They have achieved to transport their passenger in a smart way like the Mazhandu Family Bus Services are doing in the Industry. 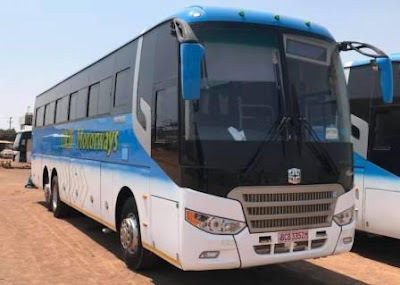 They have daily departure in all of the station where their buses goes in Zambia and a specific day departure for South Africa Route from Zambia. Also the have a pick up point in some towns where their buses passes to a certain destination. A[part from Passenger transport services, UGL also provide Courier Services to their customers with daily scheduled transport. All of their buses have pulling trailer which are special for carrying passengers and customers bulk and small luggage. This service is available within Zambia and Sout Africa route as well. CR Holdings Limited is a Private Limited Holding Company registered in Zambia. The Holding Company was incorporated in 1998 in order to bring all their Companies under one umbrella of Operations. The Company is a Holding Company for CR Carriers Limited (incorporated in 1992), Transroutes Limited (incorporated in 1998) and Virgin-Lux Limited (incorporated in 1998). It initially started as CR Carriers Limited which was a full time trucking Company. With expansion, the other Companies were formed to operate passenger transport buses, which today is their core buses. 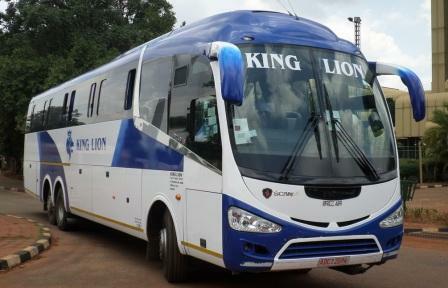 They have large number of Coaches in Zambia and all of them being a mix from different makers. 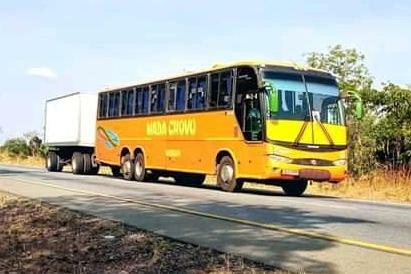 They have Scania bus models with beautiful assembled bodies by Irizar and Marcopolo as well as Chinese machine like Zonda bus and Yutong. CR Holdings coaches are equipped with television sets, music system and fridges for refreshments (served free of charge)! 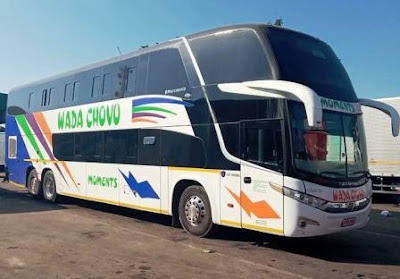 The company operates passenger coach stations in four major cities namely Lusaka, Ndola, Kitwe and Livingstone and smaller ticket sales offices in other towns. Passenger service is their core business. 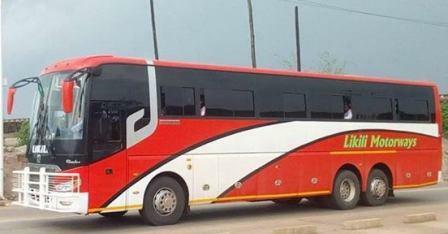 They provide comfortable and luxury buses within Zambia, and to South Africa. They have a standby fleet of Super luxury saloon cars readily available to all their esteemed passengers who may wish to use them. Their fleet of buses is readily available for hire to any organizations or groups of people who may wish require to hire them any time. CR Holdings routes take them to more than a dozen final destinations in Zambia. As a service to its passengers and clients, they provide a courier service en route for small loads of cargo. This service is a much needed as it is timely and passengers accompany their luggage and cargo. They convey large volumes of Cargo to their passengers who use their buses both internationally and locally. The CR Holdings 'Twaba pa Lwendo' scheme offers a 15% discount on fares and free luggage allowance to passengers who have a medical scheme with Momentum Zambia. These passengers also enjoy preferential treatment upon presentation of their membership cards. In addition, local travellers who accumulate five tickets within six months earn a free ticket to any local destination of their choice. Finally, regional travellers who accumulate ten tickets in six months earn a free ticket to Johannesburg! 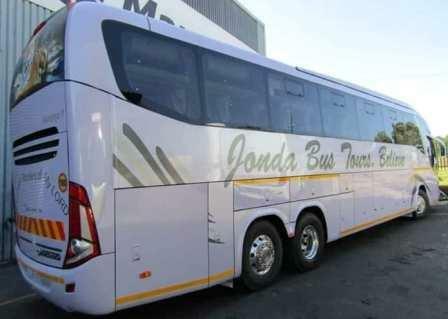 Jonda Bus Tours provide a daily scheduled passenger transport services in Zambia from Lusaka To other cities and town within the country. They also have a cross boarder transport services from Lusaka to Lilongwe Malawi and Kitwe Zambia to Johannesburg South Africa. 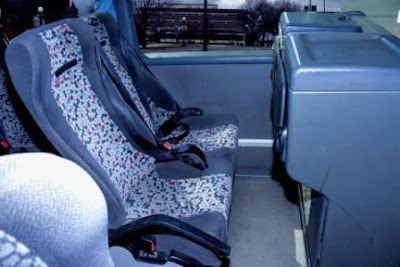 Jonda Bus Tours Is the best bus service company regarding several good reputations from their customers. They have a well trained professional personnel who are working hand uin hand with their management to ensure you get the best services from the company. Jonda Bus services have the modern fleet of different seaters and all of them being Scania bus models with well customized bodies from Marcopolo brand as well as Irizar brand. All of their fleet undergo a scheduled maintenance to keep them fit for their scheduled trips within and outside Zambia. 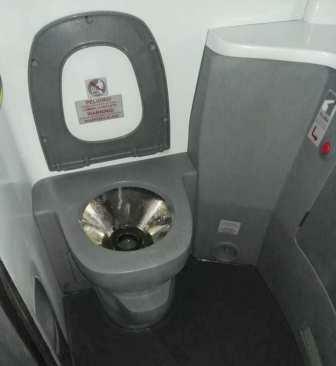 Their buses have reclining seats with enough Legs room to give you a comfort travell and enjoyable trips. Some of their buses have USB charging system on each seat to give you access of powering your smartphones. All of their latest buses have large plasma Televisions which aimed to give you a fresh entertainment like Movies, Series, Music, Documentary and many more. Don't forget their buses are also fitted with good sound system for you to enjoy a good music. Free WiFi Services are available on their buses to give you acces of exploring the world through internet while you travell with them. 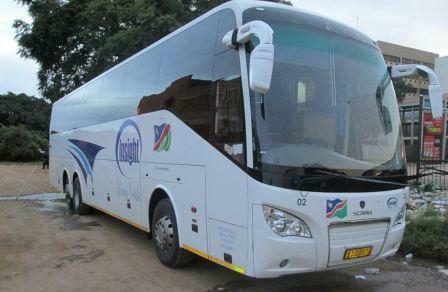 Their core purpose is the transportation of Passengers within the SADC regions from their motherhood country Zambia. 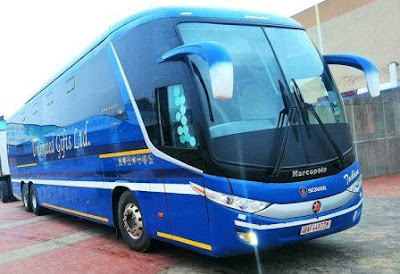 They have daily departure for Zambia Routes and a specific day scheduled departure for South Africa and Malawi as well. Apart from Passenger transport services, They also provide Parcel transportation services within Zambia and to South Africa and Malawi. Their buses have a pulling trailers for bulk luggage carriage. 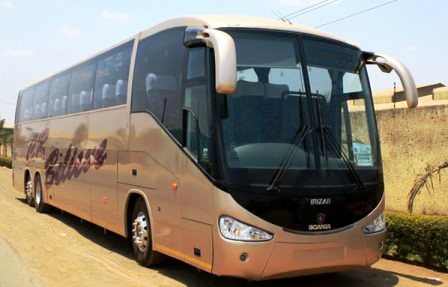 Euro Africa Bus Services is a Zambia based established family business and one of the first private bus companies to introduce luxury coach travel to the general public in 1994. The company provides a fast and efficient coach service, with daily routes between Lusaka, Kabwe, Kapiri Mposhi, Ndola and Kitwe with no compromise on safety and comfort levels. They have a good reputations among their customers in Zambia and even those who come from across their boarders. They have a faithful servant who will take care of your and your luggage as well. Euro-Africa Bus Services has a fleet of more than 16 luxury coaches, servicing both local and international travellers as well as the business community. This has helped take coach travel in Zambia to another level, introducing stricter schedules, increased road safety and raising the bar in comfort travel!. 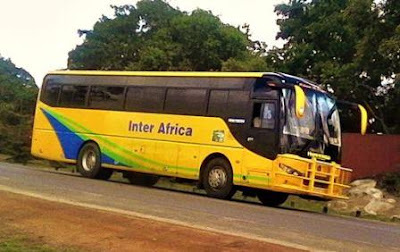 Euro Africa Bus have a modern and unique fleet which provide a good services to their customers wit6h their luggage. Most of their buses are Scania model with Marcopolo bodies of G6 and G7 series, Scania Irizar and Neobus. 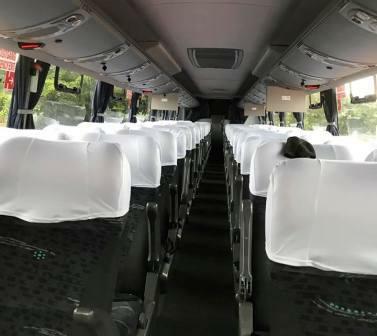 Their buses have 2 by 3 seating arrangement and few of them have 2 by 2 seating arrangement, Their seats are reclining with enough Legs room for comfort travell. Their buses are fitted with beautiful screen to refresh you all the way long while feel the unique sound of their radio and music system. 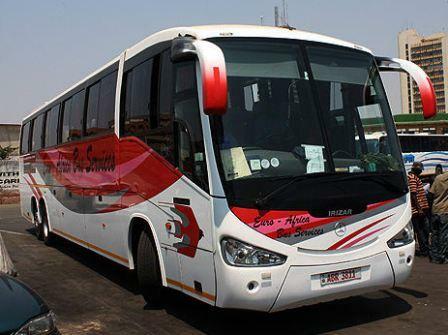 Euro Africa Bus Services runs 7 days a week, with an hourly departure from Lusaka or Kitwe. 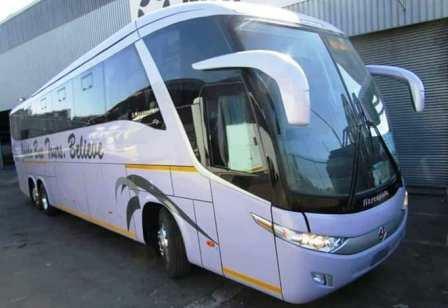 The coach facilities include sliding windows, television and radio systems. The company runs a membership scheme which entitles members to a discount on each bus fare. Members are also allowed an element of payment flexibility. Also Euro Africa Bus Services also offers customers an affordable, reliable and safe courier service that lets customers send or receive parcels. Euro Africa Bus offers a safe and reliable postal and courier service. The company pride themselves in their exceptional customer service which is achieved through strong personal communication and dedication to its clients. Euro Africa is committed to delivering each consignment on time and without any damage. ACK Logistics Limited Is a Zambia based established company serving the transport Industry in The SADC regions. The firm is registered under the company’s Act of the laws of Zambia. 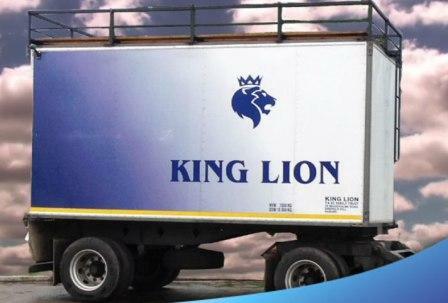 The core business of the company is to transport goods in any form within southern region of Africa. The company has Courier Group as well as The Passenger Transport service Group which comprises all of their buses and trailers. They endeavour to provide quality service delivery and to conduct business in the most professional and efficient way for the purpose of satisfying their customers’ needs and wants. They aim to be the market leader in southern region of Africa by enhancing the economies of scale through cost effective and reliably transporting goods on time. To also continue growing the market share and offering competitive rates by offering superior service and optimal use of scarce resources available. They have modern fleet to transport their passengers in a comfort and safe manner in all of their routes within and outside of Zambia. 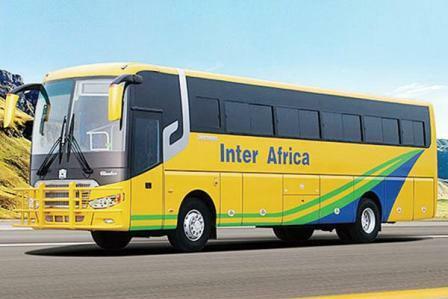 Their fleet comprises of Scania bus models with a beautiful bodies of Marcopolo, Irizar and Higer. Their buses have 2 by 3 seating arrangement for Scania Irizar and Marcopolo models while Scania Touring have 2 by 2 seating arrangement. Their seats are reclining with enough Legs room to give you a comfort trip while your enjoying on board A/C. They have Free Wifi on their buses for you to enjoy internet services while you smartphones are plugged on USB charging system available on their buses. 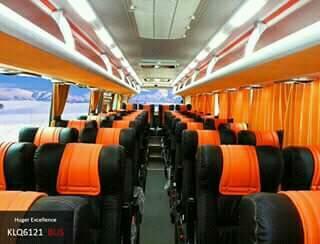 Their Buses have on board entertainment like Television services and music system for you to enjoy. 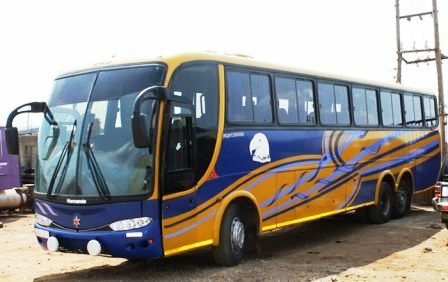 Their core purpose of the coaches is a public transport of passenger within Zambia and across their boarders at a competitive price. The transportation of Passengers must be according to the customers expected standard regarding, quality service delivery, safe arrival without delays. They also transport Parcels to all of their destinations within Zambia and out of their boarders. Their buses have trailers for transporting a buck of luggage of their customers to all destinations. While you are travelling with ACK Logistics Ltd, You will enjoy on board meals, drinks and snack for free from their servants. Office located at Intercity Bus Terminus, Dedan Kimathi road Lusaka. 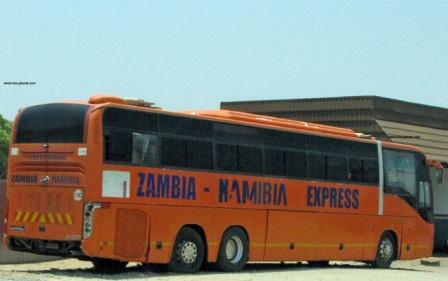 Zambia - Namibia Express Bus Is a passenger transport company linking between Windhoek and Lusaka city Via Livingstone and Katima Mulilo. This is one among those bus companies playing this route with a well established network of agencies and officies. Zambia - Namibia bus working under the umbrella of Pioneer Motor Services who manage and maintain the working schedule of this bus company. 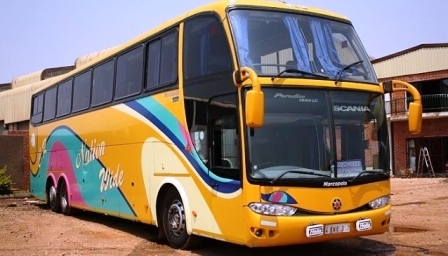 They have invested much in Scania bus models with Marcopolo assembled bodies as well as Mv bodies. 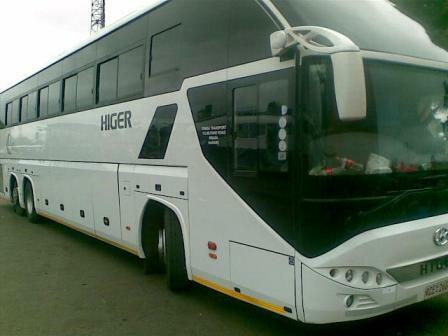 They also invested in Chinese bus model like Higer. 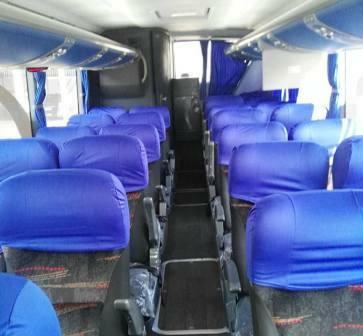 They buses are configured with 3 by 2 seating arrangement and are also fitted with an A/C services. 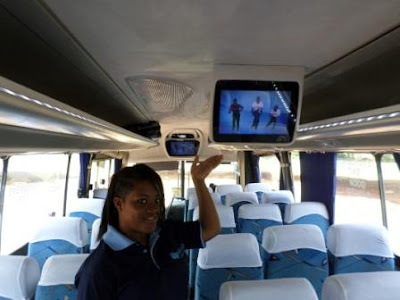 On board entertainment available while you are traveling with Zambia - Namibia Express Bus, They have Television services and music all the way long. Insight Luxury Coaches operates in Namibia, Zambia and South Africa. 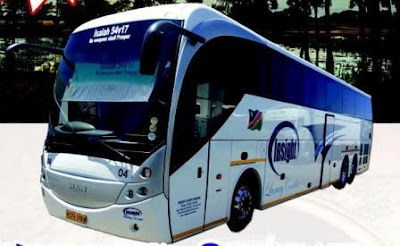 Insight Luxury coaches focuses on offering road transportation with first class bus and coach services in Namibia, Zambia, Botswana, Zimbabwe and South Africa. 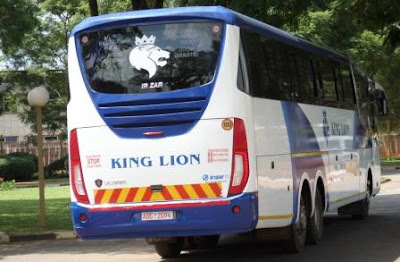 Their coaches services offer a high level and high end booking, pre boarding and on board luxurious customer services unprecedented in the SADC region. The company website states Insight Luxury Coaches is a luxury coach operator that provides an unmatched experience of luxury travel. Its mission, it says, is to create a profitable and sustainable global brand for buses, coaches and road transportation of passengers. 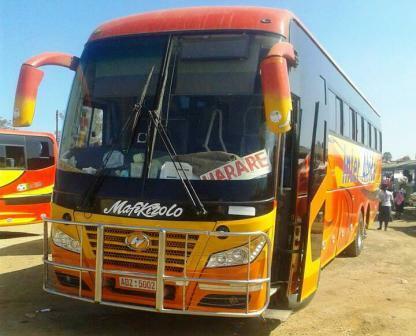 The buses operated from Windhoek to Zambia via Katima Mulilo, among other routes. They are using Luxuiry Modern buses most of them from Scania and Man with well assembled bodies from Irizar, Mcv, Marcopolo and other. 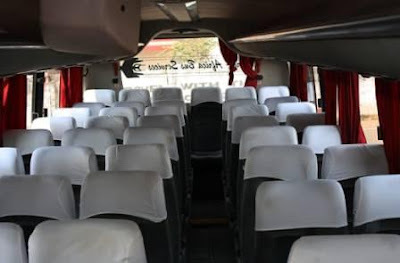 Their buses are well fitted with 2 by 3 seating configurations and some of them are fitted with 2 by 2 seating configuration. Their seats are reclining and also equipped with an A/C for fresh air for their customers. While you are traveling with Insight Luxury Coaches, You will enjoy on board entertainment like Television services, music and many more. Their Buses are available for Long distance passenger transportation in Namibia and other SADC countries as named above. Their bus also available for Private Hire and Tours for those who like to book for private travel in the regions. Call +264 61-259388, +264 814775350, +264813457031 for bookings.